Srinagar, April 16: Police Post Chanapora seeks help of the general public in identification of the truck involved in the hit & run case in which one person on bike lost life. 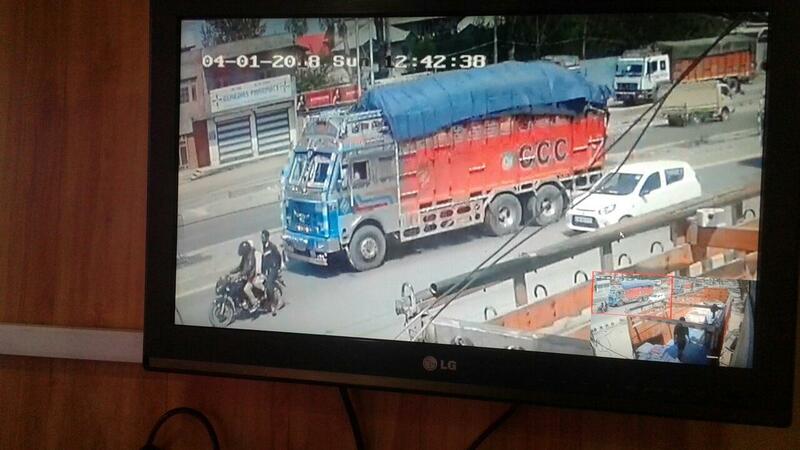 The photographs obtained from the CCTV footage are of the truck which is involved in hit & run case. In this regard FIR 49/2018 under section 279, 337, 304-A RPC has been registered in Police Station Sadder and investigation taken up. The said accident occured at Chanapora bye-pass near Haryana marbles on 01-04-2018 at about 12:42 pm. CCC transport company is clearly written on the truck. On: 9596770529 or PCR Srinagar on 0194-2477568 or Dial 100. The name of the person providing any clue or information regarding the said truck will be kept secret.